Donna Jean Manis, age 65, of N. Main St. in Byrdstown, TN, passed away on Thursday, April 11, 2019 at Cookeville Regional Medical Center. She was born September 1, 1953 in Albany, KY to Garfield Manis and Geneva (Moles) Manis. 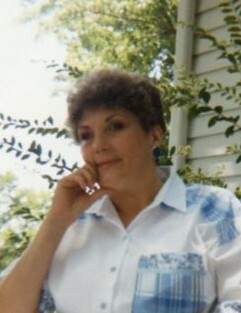 Donna was a homemaker and a member of the Byrdstown First Christian Church. She is survived by (1) Sister: Ruth Black; (1) Sister-In-Law: Jo Ann Manis. She is also survived by nieces, nephews, other family members, caregivers, and friends. Donna is preceded in death by her Parents: Garfield and Geneva Manis; (4) Sisters: Peggy Gray, Barbara Wright, Sue Ledbetter, and Wanda Carr; (1) Brother: Norman Manis. Funeral Services will be held Saturday, April 13, 2019 at 2:00 P.M. from the Brown Funeral Chapel. Bro. John Stone will be officiating and burial will be in the Story Cemetery.